A Minnesota woman pleaded guilty on Friday to second-degree manslaughter after shooting and killing her boyfriend in June. Police say 20-year-old Monalisa Perez shot and killed 22-year-old Pedro Ruiz III as part of a Youtube stunt gone wrong. The shooting happened in Halstad, Minnesota, inside the couple’s home. Perez told police she and Ruiz had planned to make a YouTube video together. 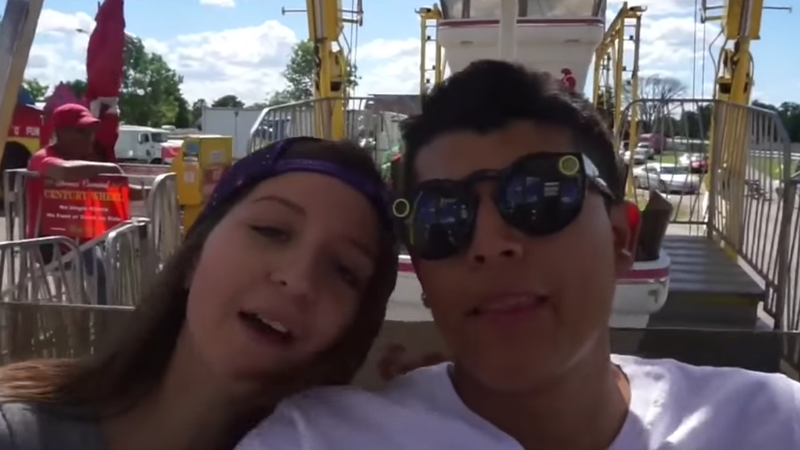 Before the shooting, the couple had uploaded several videos to the platform courting viral fame. The plan, she told officers, was for Ruiz to cover his chest with a heavy book while she fired a handgun at him from a foot away. At the time of her arrest, Perez told the Norman County Sheriff’s Office that the idea for the video came from Ruiz and he believed the book could stop the bullet, showing her a different book that had been shot but not fully penetrated. About an hour before Ruiz’s death, Perez tweeted: “Me and Pedro are probably going to shoot one of the most dangerous videos ever. HIS idea not MINE.” According to court documents, police found a gold .50-caliber Desert Eagle handgun outside the couples home. The fatal shooting was recorded. Ruiz gave the deputies the two cameras used to film the fatal stunt. Authorities say the video footage will be released after the conclusion of the case. A judge will make the final decision in the case, but under a plea agreement between Perez’s lawyers and the prosecution, she would serve 180 days in jail and spend 10 years on supervised probation. An attorney for Norman County told Twin Cities her sentencing will likely be in February.